I love making these. 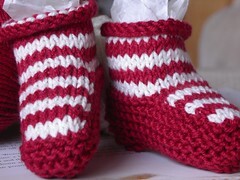 They’re so quick and you could just eat them – candy cane boots for a certain Welsh-Australian bub. I guess the colours are fairly apt for Valentines too.